He said the initial cost of the bridge which was put at about N7.9 billion later had a variation of about N1.6, bringing the total sum to N9.5billion. He also explained that the Loko-Uweto road is the bridge that links the North and South of Nigeria. 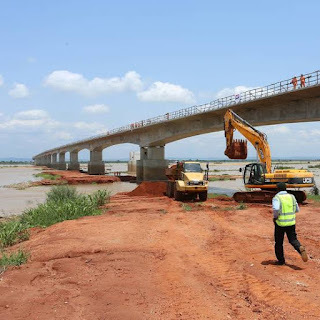 According to him, “Unlike the old Niger Bridge and the Second Niger Bridge, which links the East and the West, and linking the bridge reduces journey time from that part of the country and the eastern part of Nigeria, especially people who link through Makurdi, Enugu and all of that coming to Abuja. It would reduce their journey time. “The revision for that contract was N1.6bn extra because the contract was awarded using 2010 rates and the contractor asked for review to cushion cost and naira depreciations and council approved that.